Navigate through submissions for one question. In our shortest video, you'll learn how to use keyboard shortcuts to grade even more quickly. We also have a handy image for reference. Gradescope allows for flexibility in grading. Grading can be additive or subtractive. Rubrics can have lower and upper bounds. Multiple people can grade the same question in parallel. Point adjustments can be made for individual students, with optional comments. Gradescope allows free-hand annotation of student submissions. With Gradescope Complete, you can also type text directly on the submission. And even though by default you see only the question area, it's simple to see the rest of the page, as well as other pages. AI Assistance (for some question types): Gradescope's AI automatically forms suggested answer groups for your review. Answer Groups and AI Assistance are available with institutional site licenses and for individual courses subscribed to Gradescope Complete. If you'd like to try out these features for free, please send us an email. Adding course staff and importing a large number of students is simple to do in Gradescope. Here's the sample roster used in the video. This video shows how to upload your exam template and create the question outline. Here's the sample template used in the video. This video shows you how to enable your students to submit their work to Gradescope and how to create the question outline. Gradescope supports both fixed-length (worksheet style) and variable-length (problem sets, projects) student-uploaded assignments. Here's the sample template used in this video. This video shows you how to create an assignment meant to be completed by a group of students. You will see how both instructors and students set up their group submissions. Canvas, Blackboard, Brightspace, Sakai, and Moodle integrations are available with an institutional license. This video shows you how to link your Canvas course, roster, and assignment to Gradescope, and how to export grades to Canvas. You can follow the same steps to sync with Blackboard, Brightspace, Sakai, or Moodle. This video shows how to submit a variable length assignment (i.e. a homework with no fixed page number) as a student. Having a high quality scan is an important step in submitting assignments. Our guide for students goes over the entire process of getting a good scan. 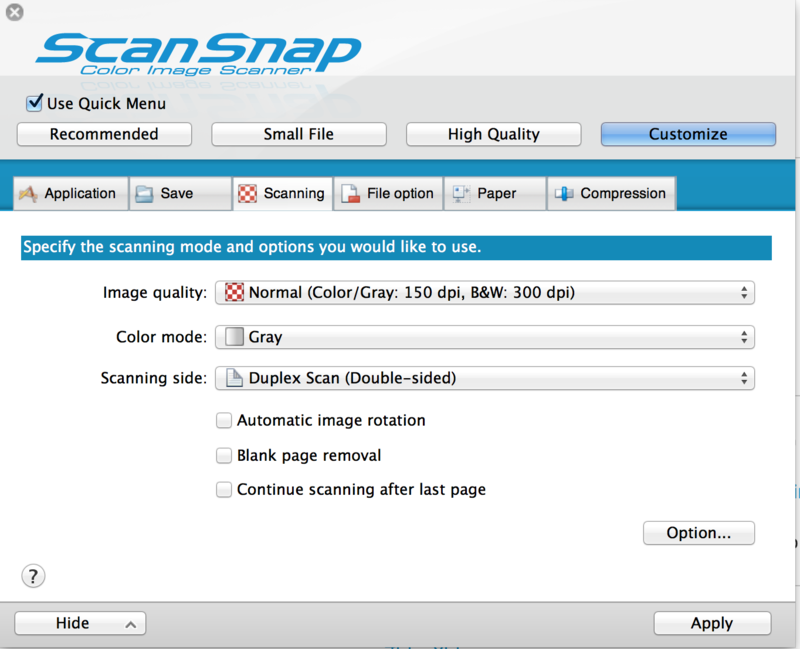 Scanning exams, demonstrated on the ScanSnap ix500 (this is an Amazon affiliate link). Take a look at our favorite settings for this model. After the exams are scanned in, they can be uploaded in batches. We'll attempt to automatically split the scanned pages into submissions. We will then automatically attempt to match each submission to a student in your roster, and you'll be able to manually match any remaining submissions. You can download the two batches used in this video: first and second. After grading is complete, all data can be downloaded from Gradescope in CSV format. Conveniently, students can be notified of the availability of their graded assignment via Gradescope via email and can review their scores online. If you'd like to enable regrade requests for an assignment, you can do so from the Regrade Requests page. Once grades have been released, students have the option to submit regrade requests. Gradescope allows instructors to easily change students' grades and submit responses to the requests.